Supergirl is engaged in battle with Rampage, trying to talk the creature down, and having little success. She takes time to flashback and narrate her origin: leaving the doomed planet Krypton, being found by Superman, her life as Kara Danvers, and finally, becoming Supergirl. Supergirl is able to defeat Rampage using "Belinda-The Bully's Surprise Uppercut," leaving clean-up to the DEO team headed by Hank Henshaw, where her sister, Alex Danvers, also is employed. However, Rampage regains consciousness and throws Supergirl into the DEO helicopter. To make matters worse, Alex is onboard, and the copter is heading down speedily. Story - 3: There's not a lot here for anyone hoping for such. 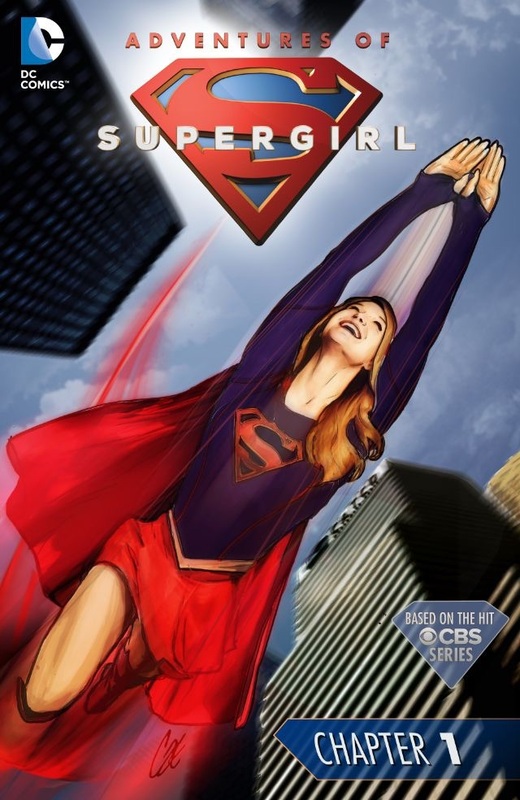 A quarter of the story is analepsis to bring readers up to speed if they're not familiar with the Supergirl show the book is based on, and the remainder of the story is primarily to set-up next issue. Rampage is a good choice of adversary, and the allusion to Supergirl: Cosmic Adventures in the 8th Grade via "Belinda-The Bully" is a nice payoff for long-time Supergirl fans, but in all fairness to Supergirl, Gates, and Bengal, this is a set-up issue in the most academic fashion. It's almost unfair to review it, because as Gates is a proven writer of Supergirl, next issue will very likely tie-in and raise this installment with its own quality. Why did this take so long? Supergirl debuted months ago, as has the fanbase, ratings, and initial buzz, so why are we only getting a Supergirl related title now? DC is notorious for not marketing their characters well... at least those that don't have a heavy amount of popularity about them a la The Batman, and this is QED that the aforesaid is greater than truth. While I'm happy to see the digital-first treatment, if Supergirl had not received interest as a show, we probably would not be seeing her at all, not after the hit-job that was done on her with New 52. Hopefully, this is a course for the better, and DC will have a more salient understanding of the character. Supergirl doesn't need to be a cynical, rage-off, but she does need to be a character readers want to like. It's been that way since Action Comics #252. Art - 3: My jury is still out, try back next issue.